Black hair is naturally dry and prone to breakage due to its elliptical shape and when it is chemically relaxed, it is even harder to keep it healthy. Many black women suffer from breakage and hair loss hence the inability to grow long hair. The Growing (Anagen) Phase: which is genetically predetermined and can last between 3 to 7 years. Shedding is a natural process during which the old hairs are replaced with new hairs. It is normal to lose about 50 – 80 hairs/day in which any shedding above 80 hairs/day is classified as excessive shedding. Heat styling, over-processing of the hair and using harsh hair products can lead to the hair’s cortex being damaged which would lead to breakage. Coffee contains caffeine which can block DHT (Dihydrotestosterone), a naturally occurring metabolite of the testosterone hormone made by the body and is found in both men and women. DHT is a key element of male pattern baldness, alopecia and other significant hair loss. It stunts your hair’s growing phase and increases the shedding phase so that over time your hair follicles become smaller, shorter and has a finer texture that leads to accelerated hair loss. 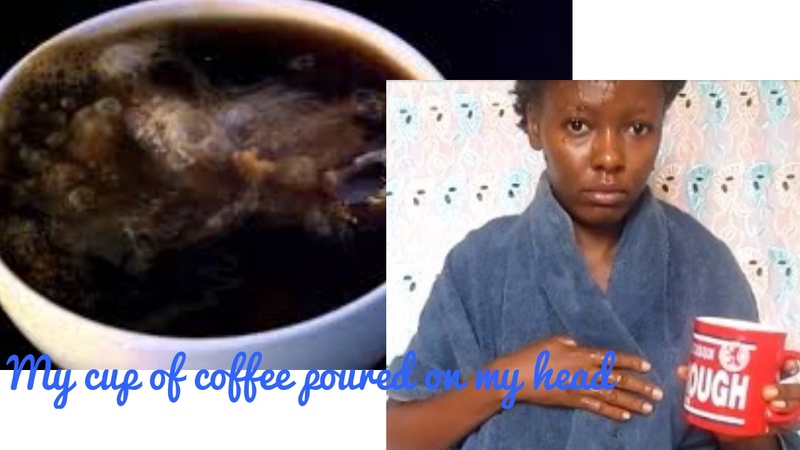 Using coffee as a hair rinse aids in blocking DHT hence helps to reduce hair loss by reversing its effect on the growing phase. Other benefits of a coffee hair rinse include the provision of shine to the hair and enriching brown to black colored hair (precaution sehould be taken on lightly coloured hair).